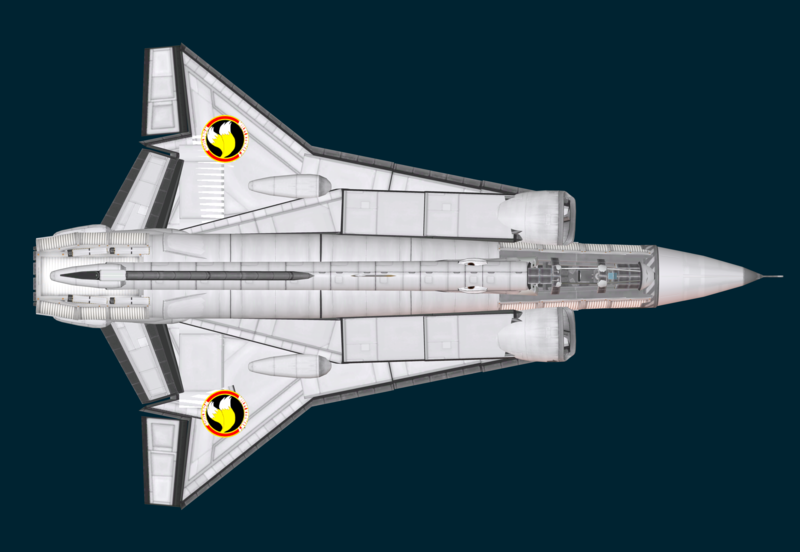 Recently there has been quite a few fighter stock replicas appearing with some pretty fantastic detailing (mainly @Servo and @EvenFlow stuff), and i dunno why, but my competitive side kept kicking me in the head, and so, i decided to jump in and make my own, and try to see if i can spice things up a bit. 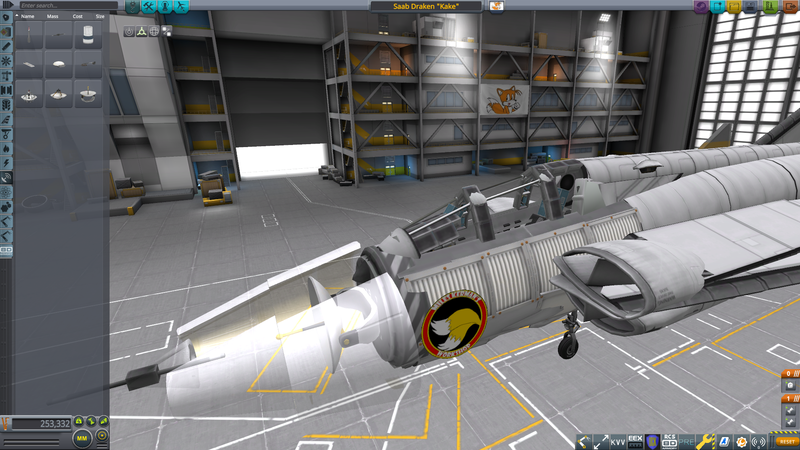 So, here is the result, a fully stock superdetailed replica of the Saab Draken. 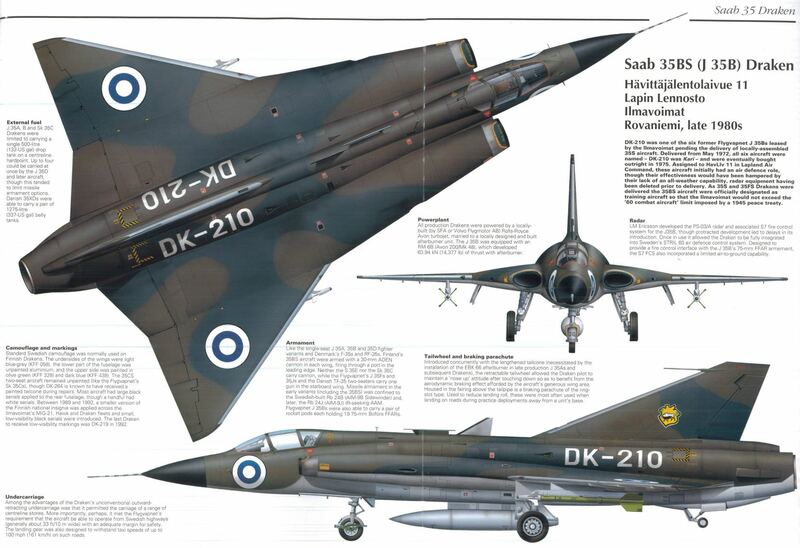 This aircraft belongs to the more special category of aircraft, as one of my old teachers (when i was training to be an aircraft technician/mechanic) used to work with Finnish air-force Drakens, and had more than a few great stories of his time there. Plus, i think it's definitely up there as one of the prettiest fighter jets of all time. 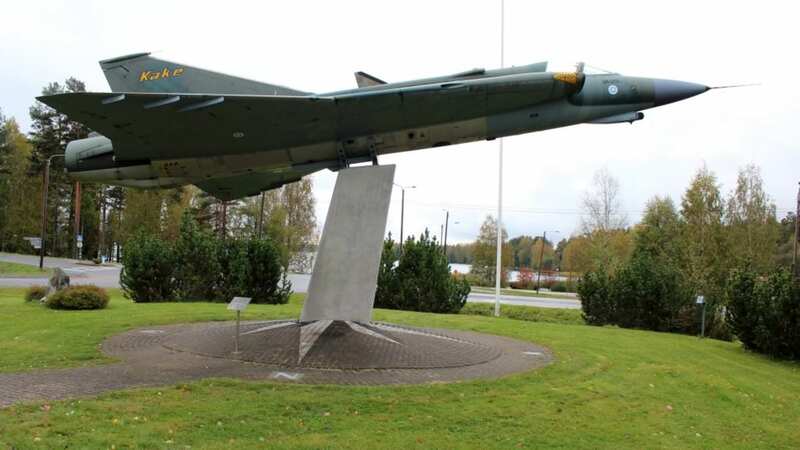 There's also a Finnish Draken that is currently sitting on top of a display stand in Jämsän Halli, where i was for 10 weeks maintaining Hawk's, with the name "Kake" on it's tail. So, i got to see it pretty-much every day. I needed something that would set this apart and take it up a notch in terms of detail...so, the one thing i added witch sets this apart, is the cockpit. As this is unmanned, i decided to leave a lot of the detail from the cockpit to save some few parts, basically it just has what you would see if you where looking at the aircraft from the side. EDIT: as i was writing this, i decided to spice up the cockpit further. 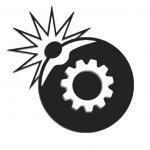 Don't worry, i did the necessary tweak's and test's to make sure performance is unaffected. And here are some KVV shot's so you can compare it to the real one a little better. 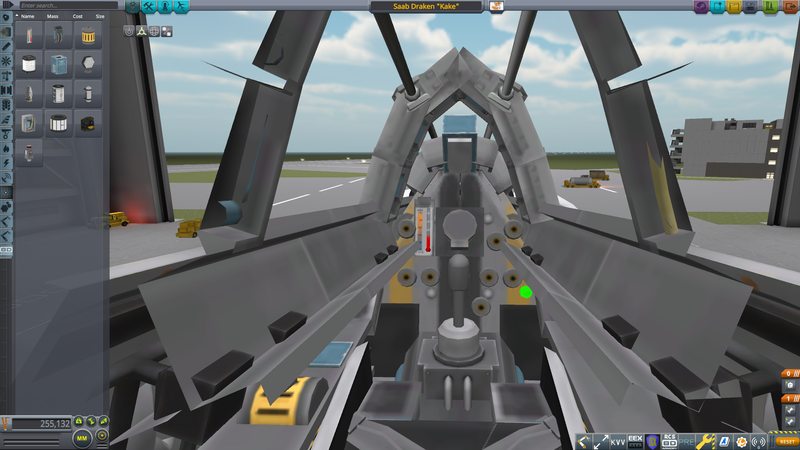 The fuselage ended up being a tad too fat, and the intakes are definitely too big. But id say it's still pretty close. There it is for you, a nice little fighter jet replica. I hope you enjoy it . Location: Orbiting Saggitarius A on a rocky, spherical spaceship. EDIT: Holy sh** you even have the actual HUD and the seat modelled inside the cockpit. Looks like i succeeded . Thanks . 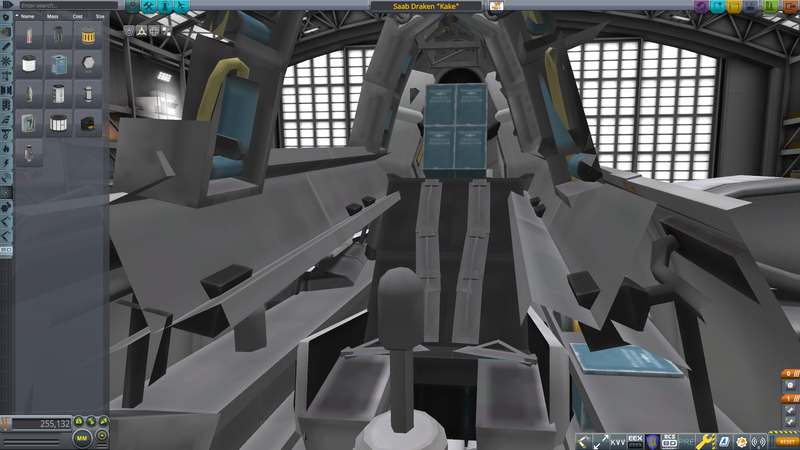 Yea, the intakes could use some work, but in this case i was thinking functionality first. You most definitely did. That's a beautiful replica - best cockpit I've ever seen on any plane, ever. Plus, your body work is dead on. These used to be stationed a stones throw from where I live, along with the Saab Gripen and Viggen, you've caught the resemblance spot on. Highlight of our day at school when these would take off just a kilometer away and fly over us, such beautiful planes. These used to be stationed a stones throw from where I live, along with the Saab Gripen and JAS 39 Gripen, you've caught the resemblance spot on. Nice. The only real interesting thing that operated from our airport, is the old Fouga Magister that has it's home base/hangar there. Really nice replica, just some advices, external flaps on wings should be longer than the internal ones, and the second portion of the wings (where the external flaps are attached) needs to be bigger. I get this isn't a overlayed craft, so dont bother change anything if you dont want! The plane still looks great as it is. Yea, the wings could be tweaked, but the plane flies like a dream, and i don't want to risk ruining that.